Krupps produce e vende lavastoviglie professionali per bar, hotel, ristoranti e comunità. Another full installation takes place in Limerick. Cook Medical is a really high-tech company involved in developing minimally invasive medical devices. In its Limercik location, our local partner was involved in a full kitchen fitout. 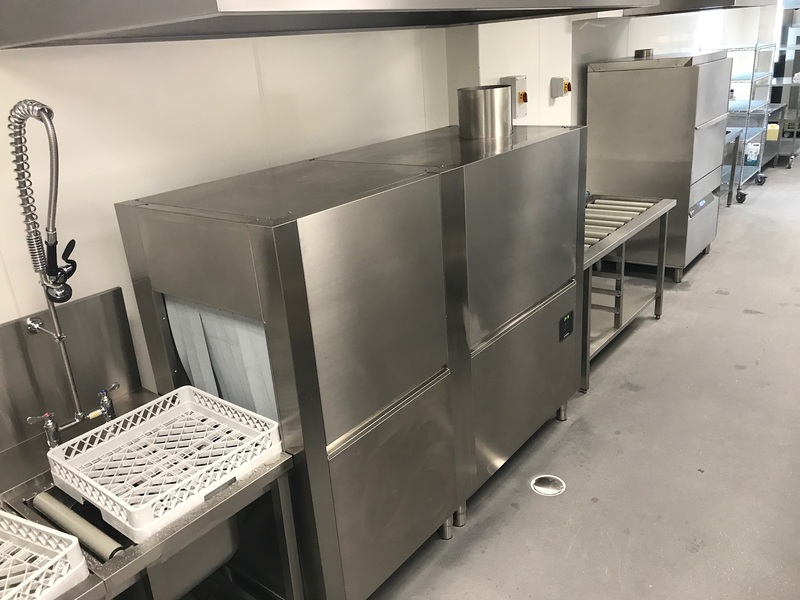 They installed a complete washing system with two units: the powerful EL985E utensil washer and the EVO311 rack conveyor dishwasher with roller tabling on the entry and exit sides. Thanks to this impressive installation now their kitchen is complete and ready to face any effort.